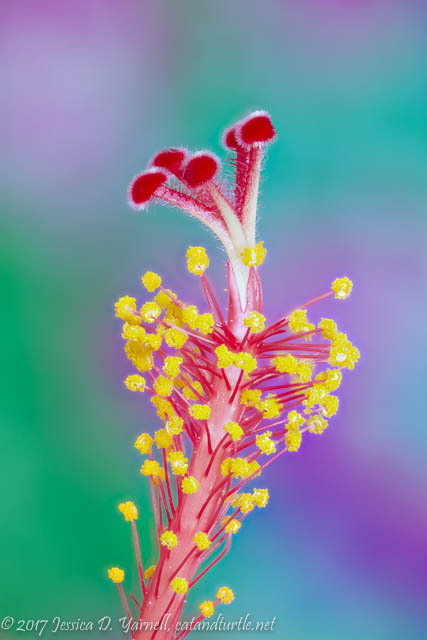 I started with the most obvious image: the showy center of the flower. Rich got that “I’m impressed” look when he walked into the den and saw this image on my monitor. Then he started to laugh. The fabric that I used for a background has served in previous photo experiments! Angle is everything when you are this close up. 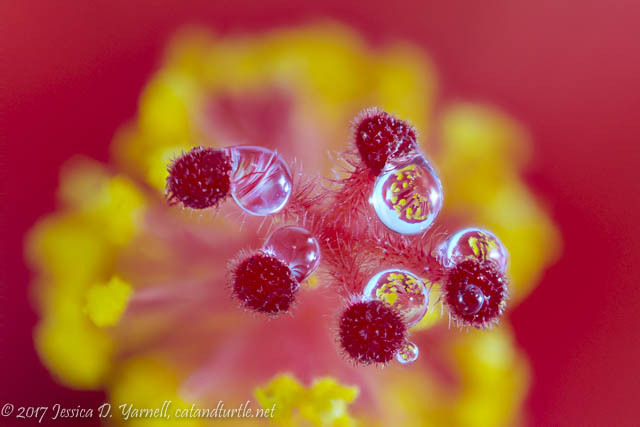 On the right side of the photo, the droplets refract the pollen on the anthers below. 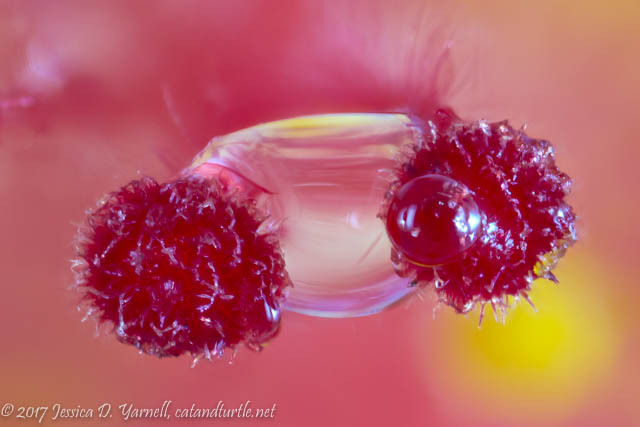 On the right side, the little red spines are refracted instead. I wonder if flowers ever tickle the hummingbirds as they busily sip nectar? Just because I could, I zoomed in closer on the red stigmas. Over time, the water droplets settled a little, converging in between two neighboring stigmas. It’s a whole new world inside the flower, huh? 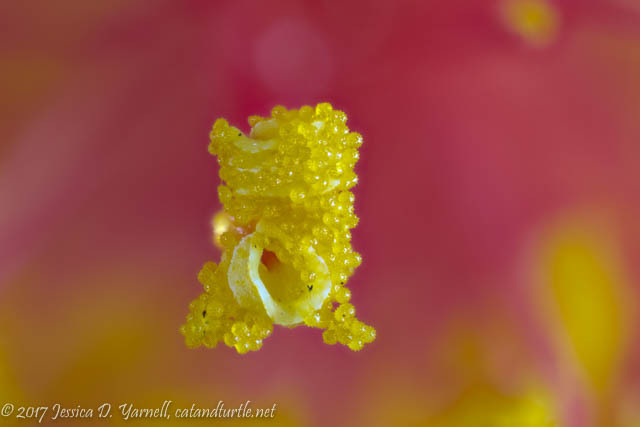 …and here’s a close-up of the yellow anther, all covered in pollen. Rich’s jaw was on the floor by this point. He wanted to know if I had a macro lens or a microscope! I guess I’ve always enjoyed the extreme angles of my camera: 500mm+ for birds, and macro. Both open up whole new worlds of detail and fun!